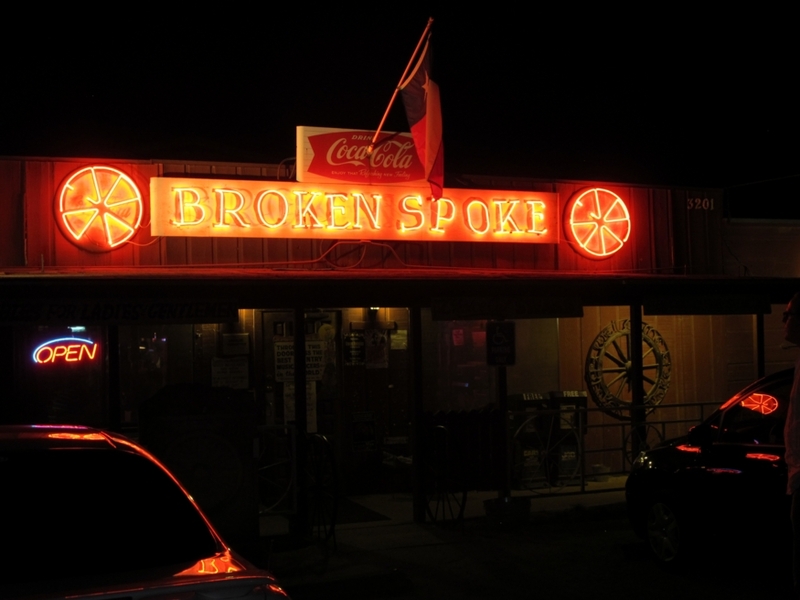 One of Austin's signature institutions: The Broken Spoke--a mecca for Western swing dancing. 28 April 2011 (posted the next morning). I’m just back from The Broken Spoke, an Austin institution. Alex Long and Kim Miller, with whom I stayed in Wimberley and who were here at the Pfeiffer’s tonight, took me there after the gathering here wound down. The Broken spoke is a Texas country western dance hall—one of the classic ones I’m told. Funky, full of memorabilia about the famous musicians who have performed here, crowded with people serious about swing dancing. Visiting a jobsite with Peter Pfeiffer (on the left) and fellow architect Scott Witt--who is holding open a hatch into a 64,000-gallon rainwater cistern. 27 April 2011 (posted the next morning). Today was an organizing and exploring-Austin day. In the morning, I went through the next batch of maps that Jerelyn had sent to me here—as I try to decide how far east I want to go. I’m feeling pretty good, but the question may be the weather. Reading about the tornadoes in Alabama certainly gives me pause…. 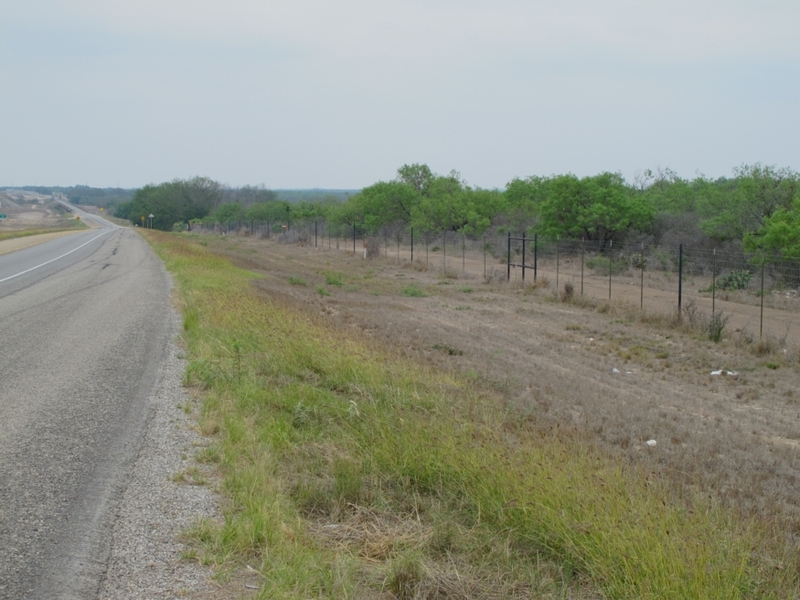 I would like to get far enough to see fully green vegetation–to complete the transition from the Southwestern deserts–but I’m not into biking through thunderstorms and tornadoes! On Tuesday night there was a tornado warning in Austin. Day 34 – Out of Texas and Into Austin! At a great lunch spot I happened across near Driftwood. 26 April 2011 (posted the next morning). 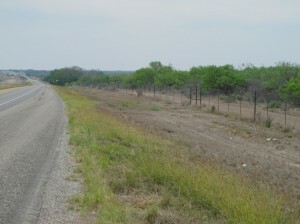 I’m hardly an authority on Texas, having been biking here for only a couple weeks and with a half-dozen prior visits. But there was a distinct shift when I approached Austin. Foreign cars, guys with ponytails, bumper stickers that might get shot at in the neighboring counties, espresso bars, alpaca farms. It seems like a different place. Politically, it’s very different, from what I gather. There’s that old political joke told in more liberal circles that the only problem with Austin is that when you leave the city you’re in Texas…. 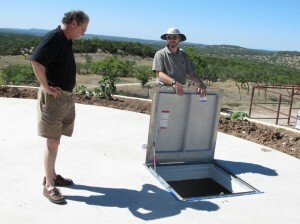 But remember, I don’t talk politics in Texas, so I wouldn’t know…. The rolling hills get greener and greener as I progress east. This was taken on Route 473 (I think). Click on any image to enlarge. 25 April 2011 (posted the next morning). 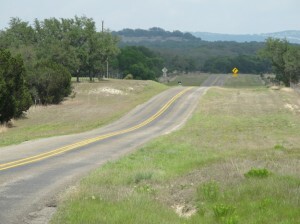 Wimberley, Texas. 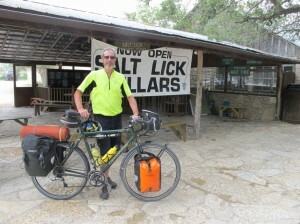 I’m thirty or forty miles outside of Austin right now, staying with Alex Long and Kim Miller. Alex is the one who came across my blog after reading in Environmental Building News that I was starting a sabbatical and on a biking trip. 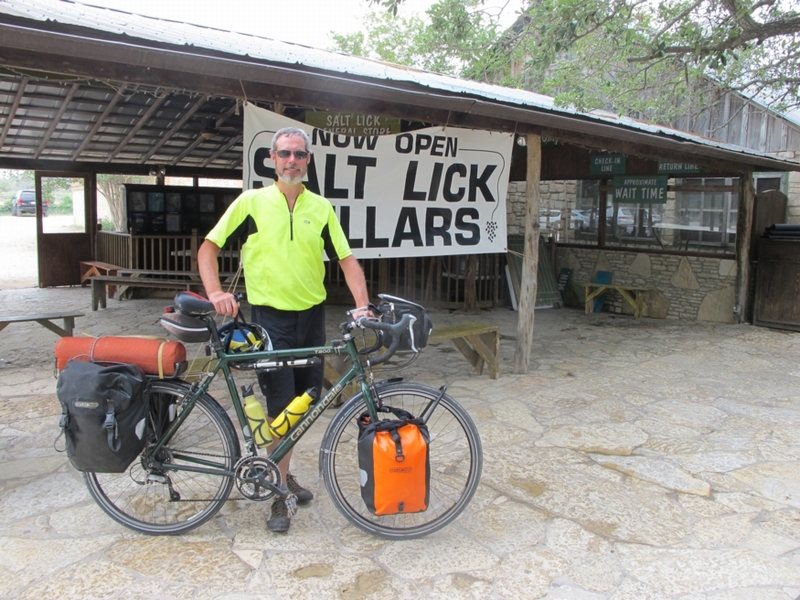 He went to the blog and learned that I was almost in his backyard—and about to make a big mistake by biking into San Antonio and then trying to get up to Austin from there. Day 32 – Hard to Believe it’s Been a Month! The rolling hills of Texas Hill Country, west of Austin. Click on any image to enlarge. 24 April 2011. Kerrville, Texas. 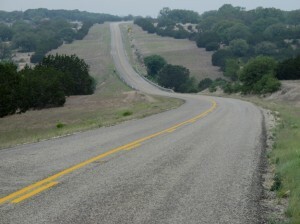 Today’s spectacular ride passed through some of Central Texas’s famous Hill Country. 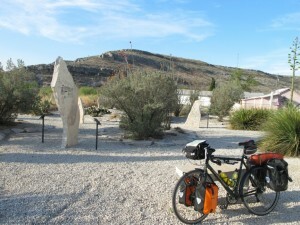 I started out, shortly after daybreak, in Utopia, pedaled an easy 10 miles past farmland and designer ranches to Vanderpool. I had expected everything to be closed today (Easter), but right away passed a gas station in Utopia and bought one of those vacuum-sealed ham & cheese sandwiches on white bread, plus a few other rations—and a chocolate milk that I downed on the spot. Then in Vanderpool there was another convenience store that was open until 10:30 am. I bought a small orange juice and drank it before continuing on. You never know around here when you will find the next store! Day 31 – I Made it to Utopia! There's some green in that grass! 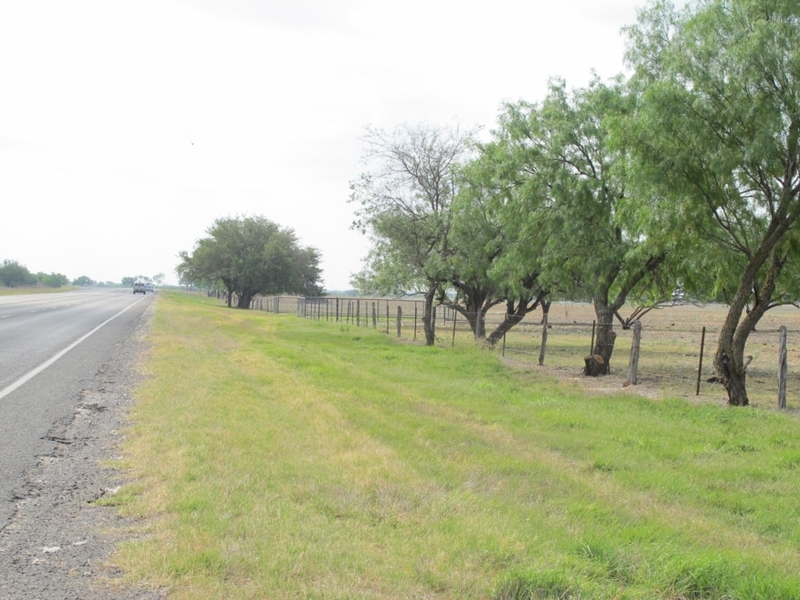 This is along Route 90, between Uvalde and Sabinal. 23 April 2011. Utopia, Texas, that is. Today’s ride was the easiest in a couple weeks, it seems. It was warm and the humidity has increased as I’ve headed east and met air masses coming off the Gulf (I suppose that’s what’s going on), but the wind was gentle and for half of today’s 44 miles, there was a tailwind! Imagine that! I left my motel in Uvalde (probably the worst motel I’ve stayed in on this trip) around 8 am and went to a nearby pancake house. The buffet was great, because I could eat quickly and go back for seconds to bulk up on those carbs and protein! Pretty much like yesterday's Route 90, but perhaps with a few more trees. 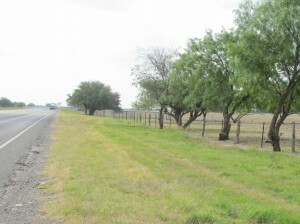 Those are mostly mesquite along the highway. Click on any image to enlarge. 22 April 2011. The good news is that the wind was much calmer today—and more out of the south than east, so the pedaling was easier. The bad news is that my legs still felt leaden by the end of what should have been a pretty easy ride: just 42 miles or so. 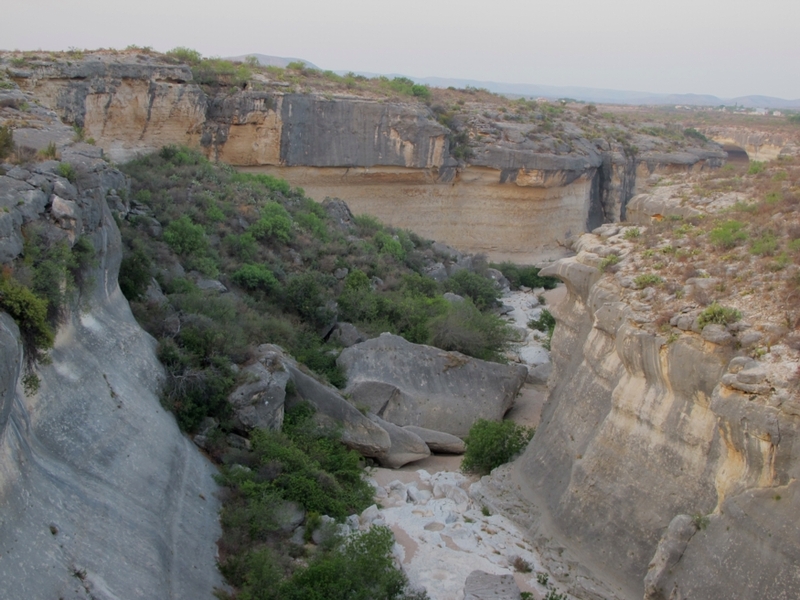 Now, I’m trying to figure out a route north from Uvalde (or one of the other towns between here and San Antonio) to get off the heavily traveled Route 90 and into some more beautiful country. This is a recommendation from a few people. But I’m spoiled with reasonably fast internet connections, which I don’t have here—despite what was promised. So I’m having trouble researching lodging options. Add to that frustration, one of the lights doesn’t work in my motel room, so I’m trying to squint at these highway maps. Aack! 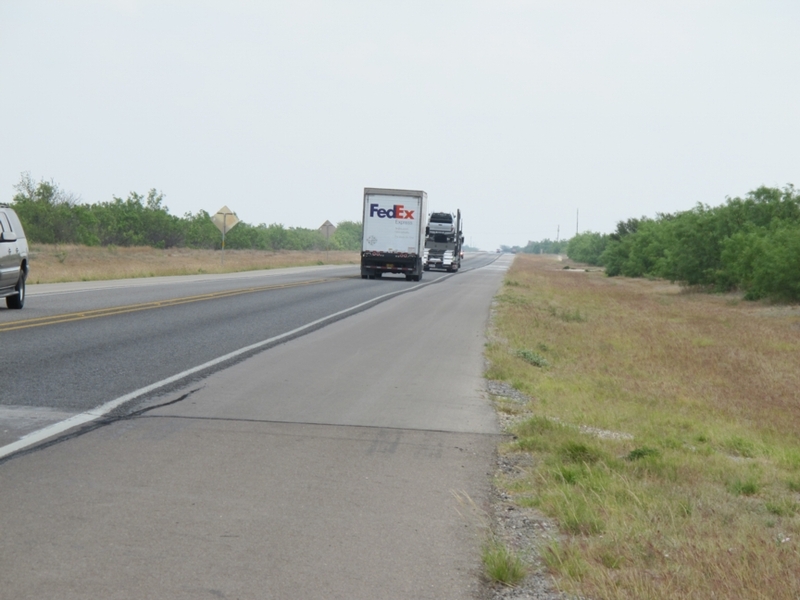 Route 90 continues to have a wide shoulder, though the surface (chip-seal) is a little rough. As I've gotten further east, traffic has picked up steadily. Click on any image to enlarge. 21 April 2011 (posted the following evening). It’s not like I wasn’t warned about the wind not always being out of the west here in Texas! Ellen Martyn had been pretty clear on that front: count on headwinds. Well, I’ve got ‘em, and they’re doing me in! I was only pedaling about 32 miles today, so I spent a while this morning dealing with some software issues and spam problems with my blog. Needing more cash, I went out looking for a bank. On the way there, I passed my friend from the pool yesterday, John Seniff, and asked if he wanted to get some breakfast. He hadn’t eaten yet, so the two of us met a few minutes later at iHOP (used to be International House of Pancakes) and had a leisurely breakfast and conversation about everything from religion to passive survivability. Crossing Eagle Nest Creek (Canyon) shortly after leaving Langtry. Click on any image to enlarge. 20 April 2011 (posted the next morning). No two ways about it: today was hard. I was pushing against a +/- 20 mph wind all day. I guess for the first hour or two it was more like 10 mph, but that gentle breeze faded into memory pretty early in the day. I wanted to get an early start and get to Comstock. I had confirmed there was a café there where I could get a real meal. So I wolfed down a granola bar, filled my water bottles, and took off with the sun barely risen above the horizon. Oddly, I find that I’m usually not very hungry during the day. I almost have to force myself to eat enough to keep my energy up. I’m not sure why that’s the case; everyone told me I’d be starved all the time and wanting to eat everything in sight. Day 27 – Hot, Hot, HOT! Just after starting out this morning (with the air still cool enough to warrant a jacket--though I wasn't wearing one), I came across this very nicely landscaped visitor's center. 19 April 2011 (posted the next evening). After I got to Langtry, Texas, I dropped off my stuff at the trailer where I’m staying—a WarmShowers host who lets people camp for free for charges for the use of his spare trailer—and biked into “town” to visit the Judge Roy Bean Visitors Center. They have a weather station there and the temperature hit 104 while I was visiting! But it’s dry heat, you know; doesn’t feel a bit warmer than 100! I think my body’s not acclimated to the heat. By the end of the day (after about 65 miles) I had crusted salt deposits on my face and neck. It’s really something else! Fortunately, I had a tailwind pushing me along. Tomorrow, I’m not going to be so lucky, with an east or southeast wind forecast. I think I’m about 60 miles from Del Rio.